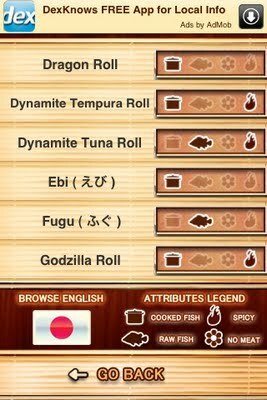 Though I tend to poke fun at the disfunction that is Eastern Long Island, there have been a number of really good sushi places popping up in recent time and this app lets me have a nice detailed view, history and description of what each type of sushi is before I shell out the $ at these places. 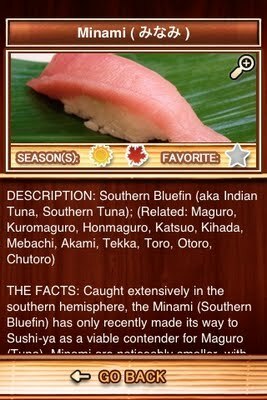 There is even a place called Sushi Park about 10 miles away from my house that is an all-you-can-eat sushi buffet that will only run you about $15 a person ^^. 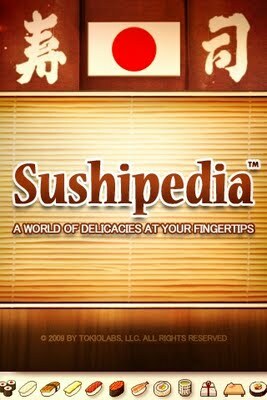 This app keeps me hungry for those wonderful maki rolls, which is better than being hungry for a fastfood burger ^^;; The app is call Sushipedia and is free so check it out.